It’s surprisingly easy to let your car become a complete mess. French fries stuck between seats, loose change and receipts sprinkled across the floor, the glove box stuffed with a million different papers—it happens to the best of us. Here are some tips to keep the mess at bay in your car. 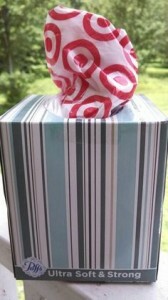 Use an empty canister or tissue box to keep a bunch of plastic bags to use as trash bags. That way you always have a trash bag on hand when you need it. 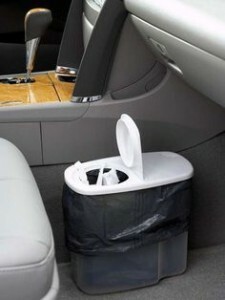 For those of you looking for a greener option to keep your car tidy, keep a cereal keeper near your center console and put trash in there. That way, you don’t have to use plastic bags—just empty the keeper whenever you stop for gas. 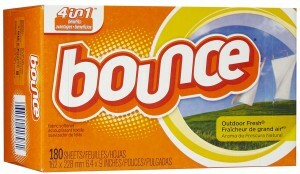 To keep your car smelling fresh and clean, stick a few dryer sheets under the seats. It’s cheaper than buying an air freshener—and takes up less room too. 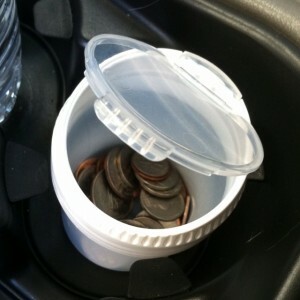 Keep all of your loose change in an empty gum container to avoid confusion at toll booths. It can fit in a cup holder for easy access, or in your center console or glove box if you don’t need to use it that often. 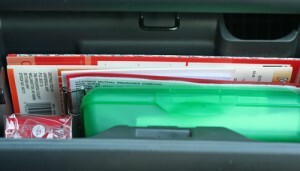 To your glove box clutter-free, use a file organizer with tabs to separate registration, insurance, and service receipts—it’ll be much easier to find what you’re looking for if your glove box is neatly organized. It’ll probably create more free space, too. 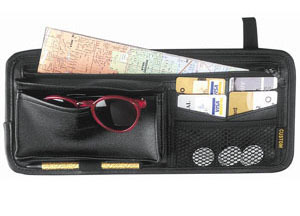 You can pick up a visor organizer just about anywhere nowadays, and they’re wonderful for keeping the things you use most nearby. They can hold your phone, sunglasses, CDs, pen and paper, chargers—everything you could possibly need, really. 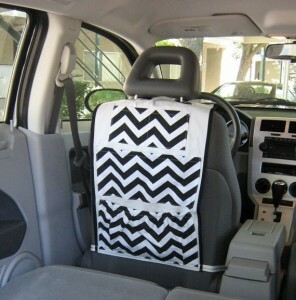 Hang a shoe organizer over the back of the driver or passenger seat to keep important things handy, like hand sanitizer, sun screen, tissues, and water bottles. They’re also good for storing things to keep your children occupied, like books or toys, and keeping them very easily within their reach. These tricks are a great way to make keeping your vehicle clean that much easier. If you want to make your car look as good on the outside as it does on the inside, treat it to one of our Car Spa Packages.